Shoestring Elegance: Spring Abounds at the Thursday Favorite Things party! Spring Abounds at the Thursday Favorite Things party! Spring is most definitely in the air and throughout all of your beautiful shares with us last week. Please keep the Inspiration coming. Here are just a few of my favorites. Springtime Bedroom Refresh For Under $30. Kingsbury Brook Farm's Farmhouse Spring Vignettes is just adorable. 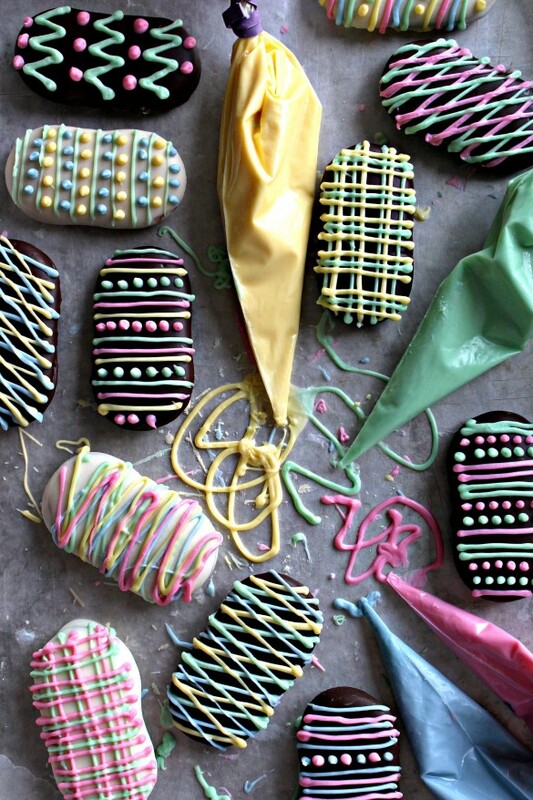 The Monday Box shared these super sweet Milano Cookie Easter Eggs Don't you wish you thought of this?!! Thanks so much for hosting!! My link ups are #44,45 and 49!! Wishing you and yours a very Happy Easter!! Thanks for hosting and Happy Easter to you.